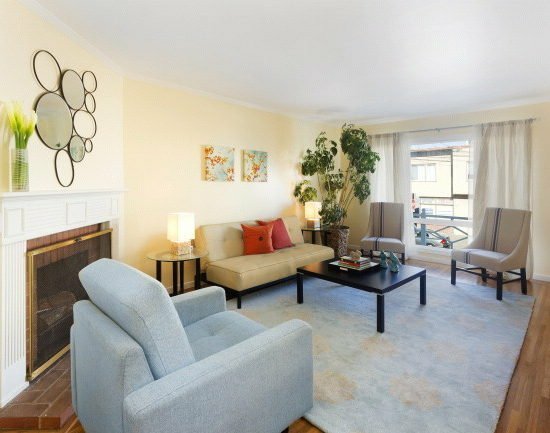 Selling residential real estate in the San Francisco Bay Area is a complicated financial transaction involving many important issues: home preparation, pricing and fair market value, comprehensive marketing across a wide variety of media, buyer profile and buyer qualifying, contract negotiation, showing the property, statutory disclosure of the property’s condition and circumstances, buyer due diligence, appraisal and financing and liability management. Doing these things well can make a huge difference in time and money. 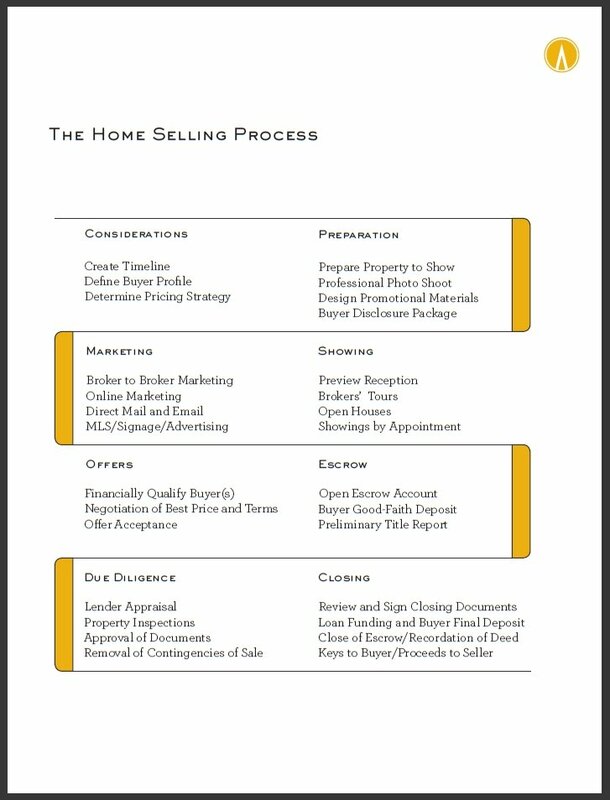 Below is a simple graphic that outlines the process, followed by a detailed step by step description from the first consideration of market conditions to having the proceeds of sale wired into your bank account. It’s relatively self-explanatory, but will make even more sense when reviewed with your agent, who can explain the decision points along the way and the strategies and options you will have at each step. Agent begins development of marketing materials: flyers, brochures, direct mail and email pieces, newspaper and magazine advertising, open house advertising, sign, professional photography, Internet marketing, broker to broker marketing, etc. Agent orders statutory 3rd party reports: city/county, natural hazard, etc. 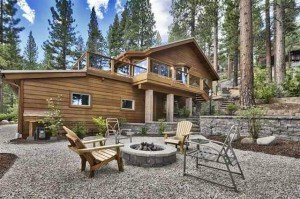 Agent creates property-showcase website with description, photos, slideshow, neighborhood information, financing options, etc. Agent monitors Buyer’s removal of contingencies item by item as contractually specified: approval of RETDS, other disclosures and reports, inspection contingencies, loan and appraisal contingencies, approval of Preliminary Title Report, etc. As necessary, Agent coordinates any statutory compliance or repair work necessary: energy and water conservation compliance, smoke detectors, water heater strapping, etc. The quality of the agent working on your behalf, his or her competence, integrity, work ethic and commitment to your interests can make an enormous difference in the outcome of your home sale—often to the tune of tens or even hundreds of thousands of dollars. Buying a home is typically the largest, most complicated, and often most emotional financial transaction of one’s life. There is a lot at stake, not just money but also issues such as security, happiness and everything else wrapped up in the concept of “home.” One of the main reasons why it can be so stressful is that one’s agent never explains how the process actually works step by step, what the decision points will be and the options one has at each step. When one understands the process and has a sense of control over how it will proceed, much of the stress is alleviated. 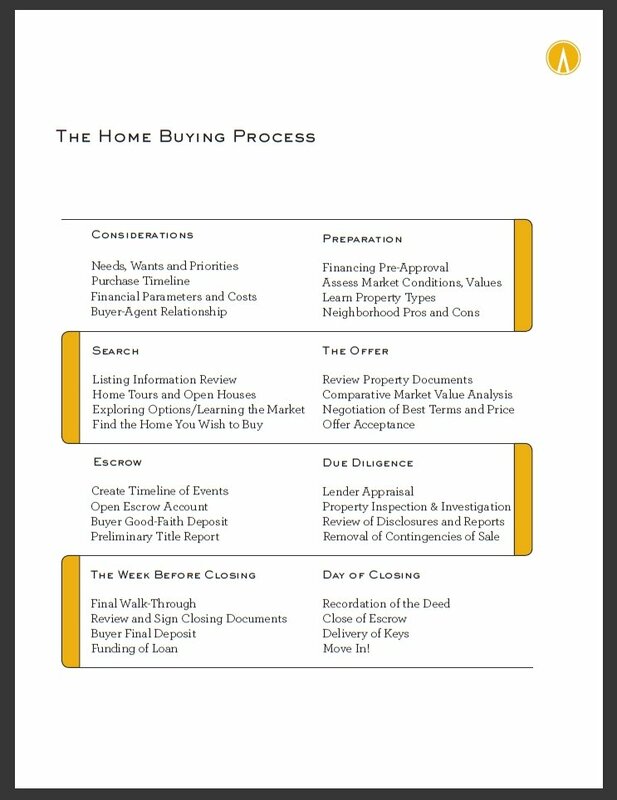 Below is a simple graphic that generally outlines how one thing leads to another from first beginning the search for a new home to having the keys to the front door put into your hands. It’s relatively self-explanatory, but will make even more sense when reviewed with your agent. Remember that you are the sole decision-maker throughout the process: a good agent renders honest, experienced counsel and helps manage and coordinate everything that needs to happen, always with an eye to protecting your interests, but never presumes to make decisions for his or her client. in the outcome of your home purchase. for 3rd quarter 2013 sales reported to MLS. In the map above, “k” signifies thousands of dollars and “m” millions of dollars. In one or two instances where the number of sales was insufficient for meaningful statistics, the median sales price is for the 2nd and 3rd quarters combined. Median Sales Price is that price at which half the sales occurred for more and half for less. 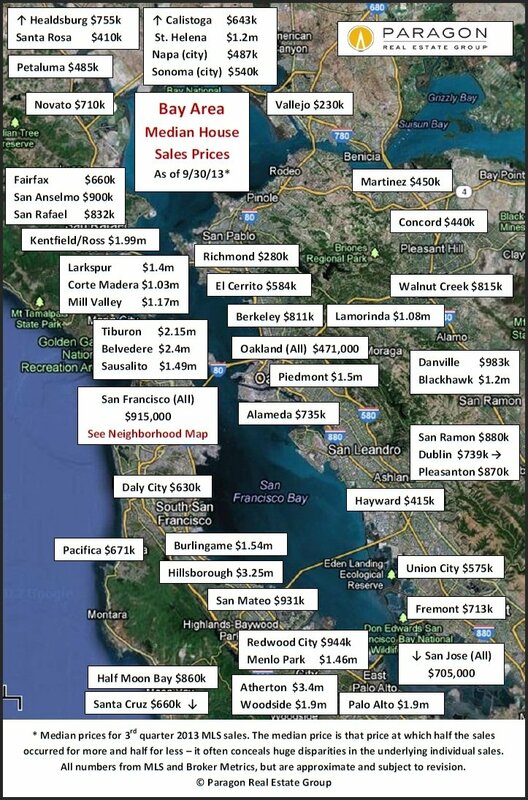 The single median price for a town, city or neighborhood almost always disguises an enormous variety of sales prices in the underlying, individual home sales: For example, median house sales prices in the city of San Francisco range from under $500,000 to over $4,000,000 by neighborhood. Median sales prices may be and often are affected by other factors besides changes in value, such as seasonality; changes in financing conditions, buying patterns and available inventory; and significant changes in the distressed and luxury home segments. Short-term fluctuations are much less meaningful than long-term trends.